What Animals in the Desert Are Herbivores? The desert biomes of North America support a mixture of herbivores – animals that eat only plants. Herbivores in the desert include small mammals and large mammals, as well as some reptiles and birds. Their job of finding sufficient plant life and drinking water in the desert to support the appetites of herbivorous animals is not always easy. Herbivore definition: An animal that feeds exclusively on plants. The chuckwalla is a member of the iguana family of lizards that exists in the American Southwest’s deserts. The chuckwalla can grow as long as 16.5 inches, making it second in size among American lizards to only the Gila monster. 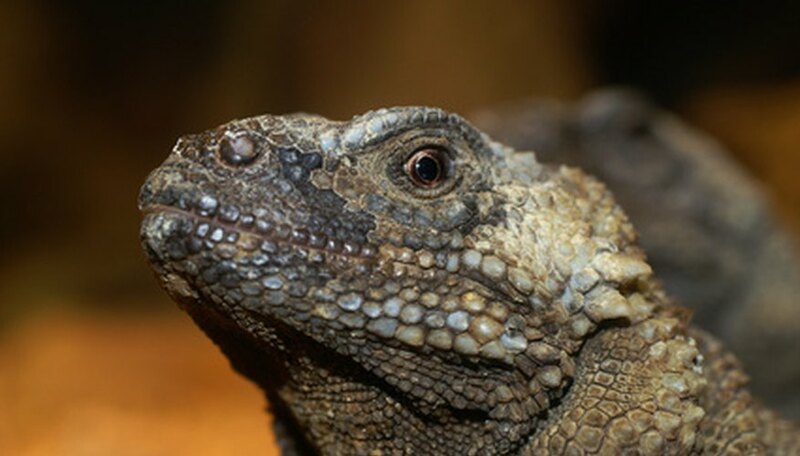 The chuckwalla has a potbellied appearance and loose folds of skin about the shoulders and neck. The chuckwalla may eat a few insects as a juvenile, but once it reaches one year of age, it eats nothing but plants. The diet includes desert wildflowers, leaves and fruits, with the chuckwalla obtaining its water from the vegetation it devours. The chuckwalla, when alarmed, will run into a rocky crevice and then wedge itself in the stones by inflating its body so it is difficult to pull out. 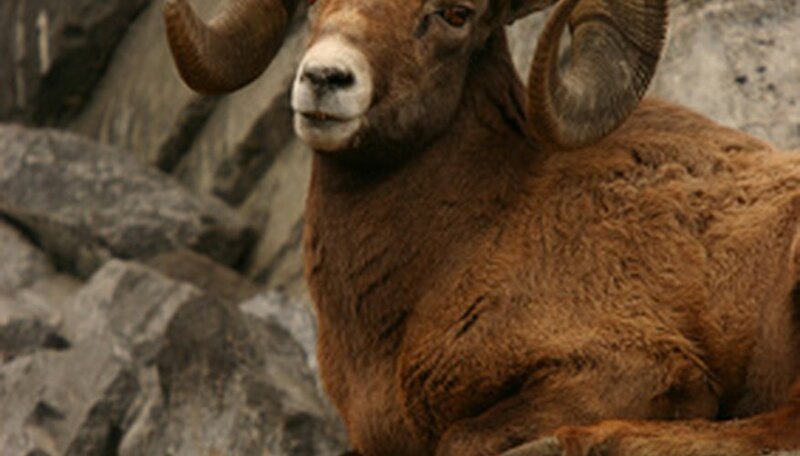 The desert bighorn sheep is a subspecies of the bighorn sheep found further north in North America. These herbivores have the ability to exist in the desert mountain ranges, using their excellent vision to spot danger and their cloven hooves to scramble around on rocky ledges. The desert bighorn sheep has a stomach featuring multiple chambers, like a cow, and this feature lets it digest dried grasses. The menu of this large mammal also includes forbs, sedges and the leaves of bushes and shrubs. Water from manmade sources enhances their habitats significantly. In the summer, according to the Blue Planet Biomes site, this creature must drink about every third day. The Gambel’s quail is a desert species that resides in the brushy regions of the desert, feeding upon berries, fruits, grasses, leaves, buds and seeds. The Gambel’s quail has the pear shape of the typical quail, with gray colorings above and a brown-buff mix on the under parts. The Gambel’s quail is a target for raptors such as hawks and falcons in its desert home, so coming into open areas to drink becomes problematic. The birds usually will time a trip to a water hole to coincide with dawn and dusk when the birds of prey that could easily kill them are inactive. The desert tortoise survives the heat of the desert summer by staying in an underground burrow when temperatures reach extreme levels during the day. In winter, this reptile will hibernate, with many doing so as early as September. 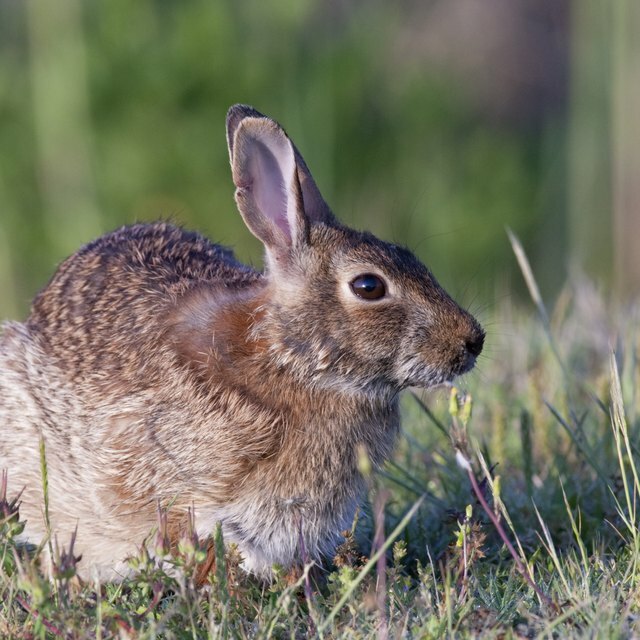 This herbivore consumes grasses during the mornings and again in the late afternoons. The desert tortoise can reach lengths of 14.5 inches. The tortoise has a domed shell and stubby legs that call to mind an elephant. The desert tortoise will live where it has access to plants such as creosote bush, cacti and other thorny plants. Lindell, John. "What Animals in the Desert Are Herbivores?" Sciencing, https://sciencing.com/animals-desert-herbivores-6570671.html. 07 August 2018.